The donor signing this form must be the person who makes the donation. The form can be submitted by clicking submit below. 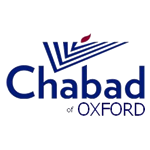 Thank you very much for your kind support of Chabad of Oxford!